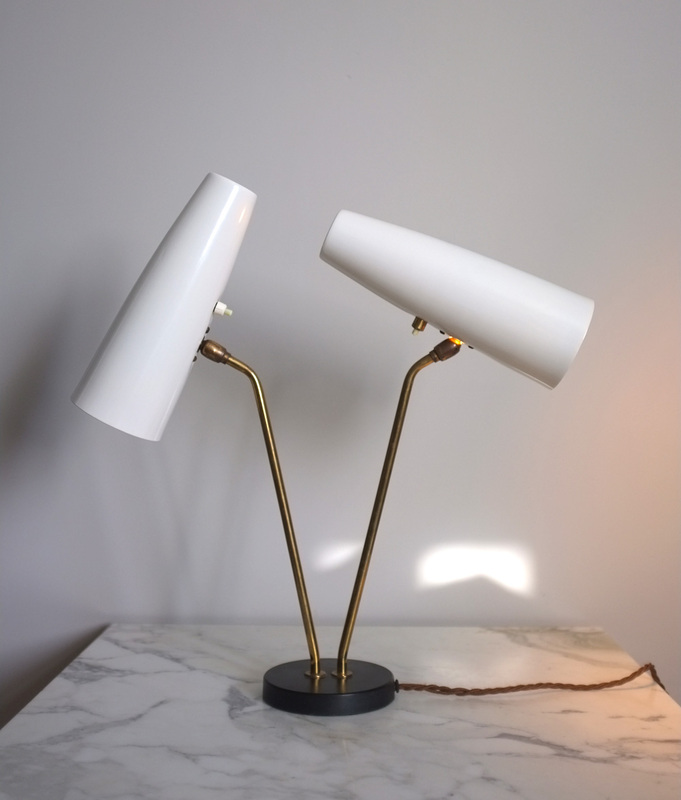 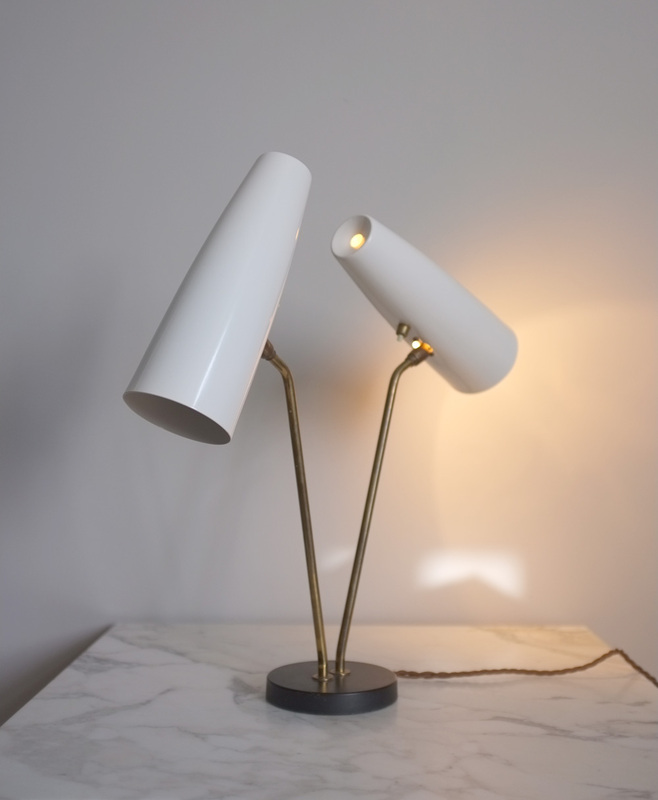 A striking double shade lamp attributed to Oswald Hollman Ltd, 1955 (see Austerity and Affluence by Rayner and Chamberlain for similar single shaded lamp, p102). 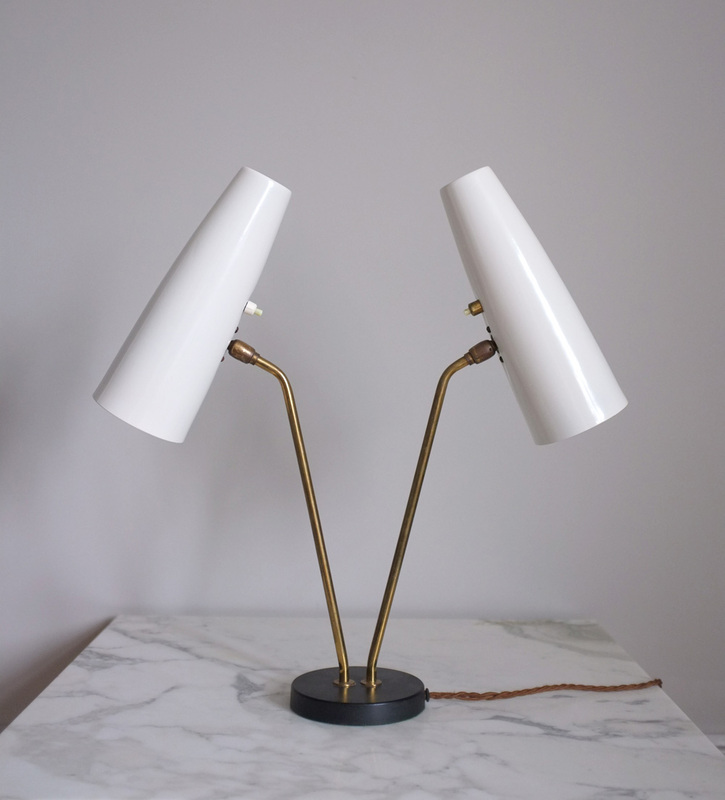 A rare piece of British midcentury design. 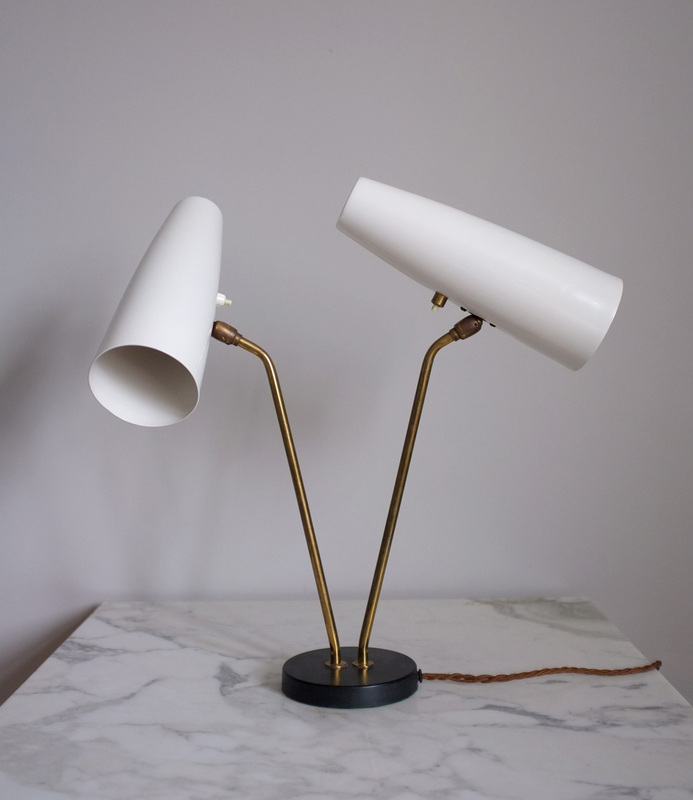 Black painted base with brass uprights and off-white shades. 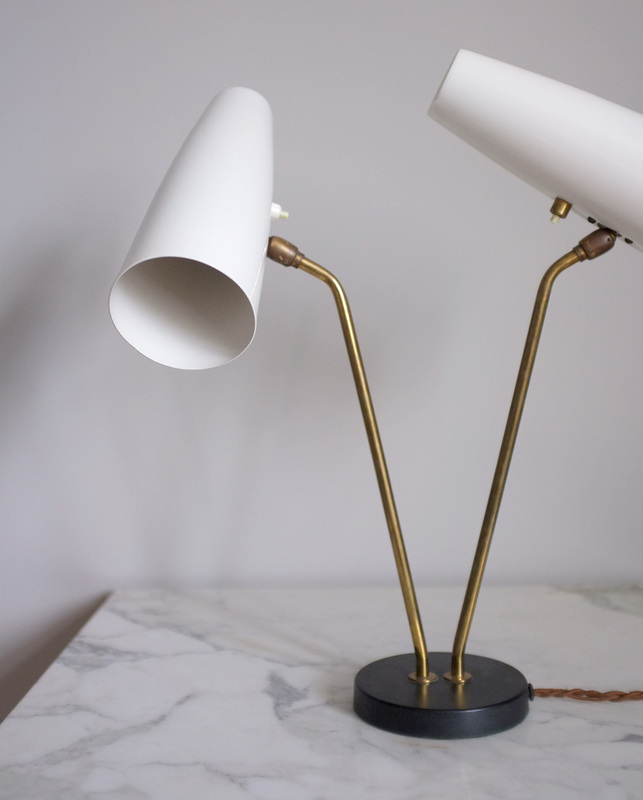 The base and brass is in excellent condition, the shades have some minor dings and have been repainted.